Burjeel hospital Abudhabi is one of the excellentPrivate Tertiary hospital in AbuDhabi, United Arab Emirates. This hospital is well known about its high standards, well renowned healthcare team, most advanced facilities to provide great treatment and care to patients etc. How about get a chance to join with this amazing health care team? We found a vacancy for IP Pharmacist, which is announced in their website for online application. You may reach the job provider by licking the link given below. 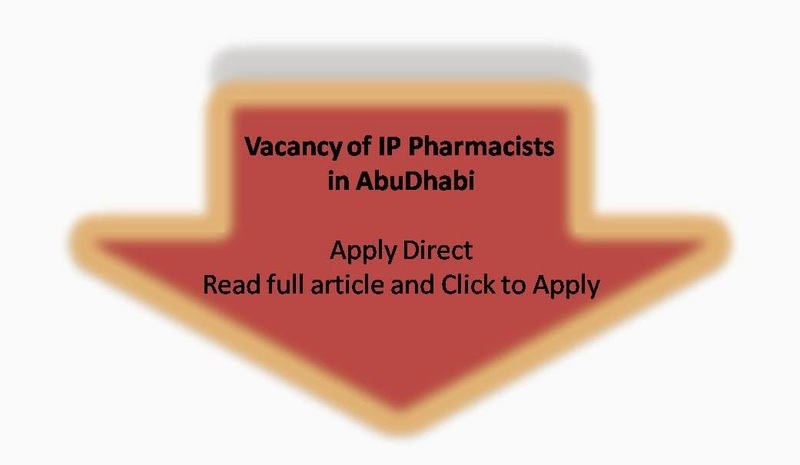 Apply direct, if you feel that you can be an IP Pharmacist as specified by the Burjeel hospital. Specialists are doctors who have done eight years of training and 3 to 7 years of internship in a particular area of medicine. After the internship the doctor may give an exam to become a certified specialist in Top Private Hospitals in India.